1996, 2002, Burgundy, FOOD, France, Restaurants, TASTE TRAVEL, What is in my glass? Tartar de truffe and biscuit: this is serious truffle, cut coarsely, meaty, satisfying, sink-your-teeth into it truffle. And yet so simple. The roasted crispy-ness of the biscuit went well with the liquorish-y olive aspect of the truffles. And the 1996 Chassagne Montrachet 1er Cru La Romanée from Verget that we brought for the meal went perfectly with the truffle. 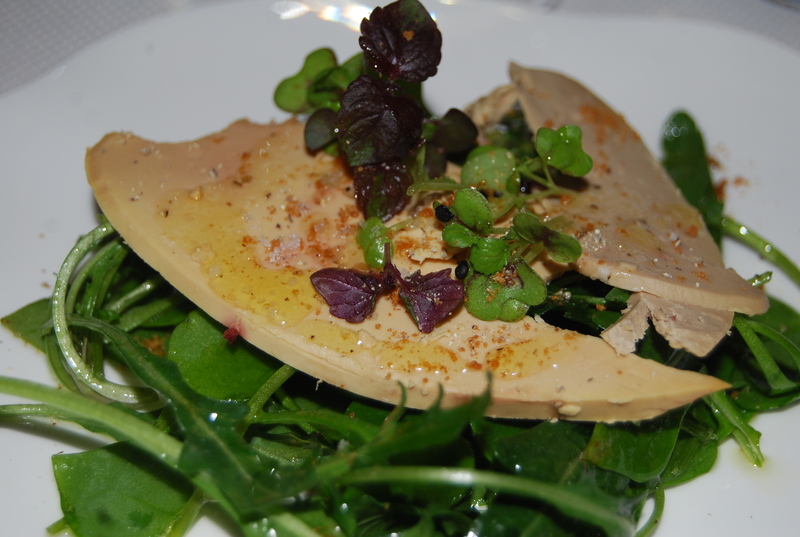 The first spring leaves from Pierre’s garden also made it into our plates with the foie gras. First signs of spring with leaves, some of which I have never heard of : Dayton de cuba, wild roquette, chizeaux (?) and mustard leaves. 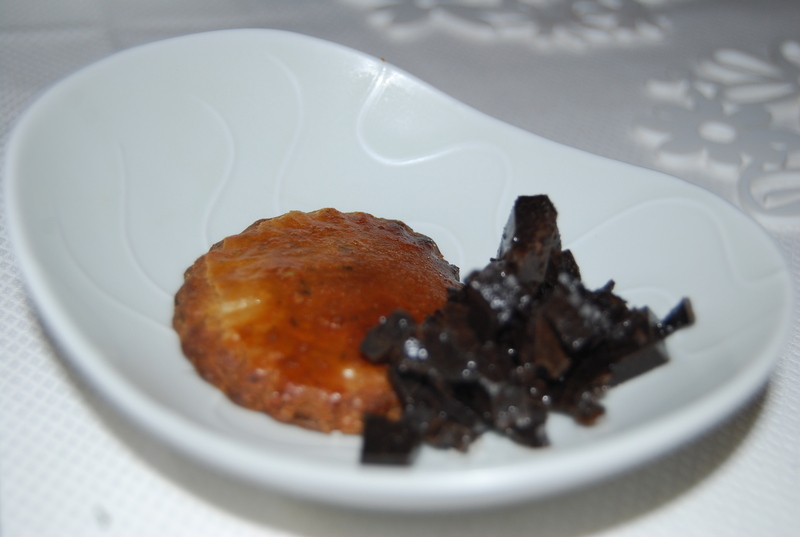 The foie gras was smoked with a dusting of speculos (spicy cookie) on top. Talk about unusual foie gras! I’ve never had it smoked before. Over smoking would surely dominate because of the bitterness, but this was super. The spicy speculos acting as the liaison between fatty foie gras and hint of bitter smoke. The 2002 Egly Ouriet Ambonnay Rouge was almost too delicate for the dish. The spiciness went well, but the delicate tannins just barely make it past the smoke of the dish. Pierre and Olivier told me they had been to see Heinz. Showed me the menu of their meal and said it was one of the best 3 stars they’d been to in Europe. They were referring to Heinz Beck chef at La Pergola in Rome, one of my mentors in another life…..it made me want to go back. Previous Post Those Brittany boys…. have you taken your lover to roma ? I am sure he will want to come back.